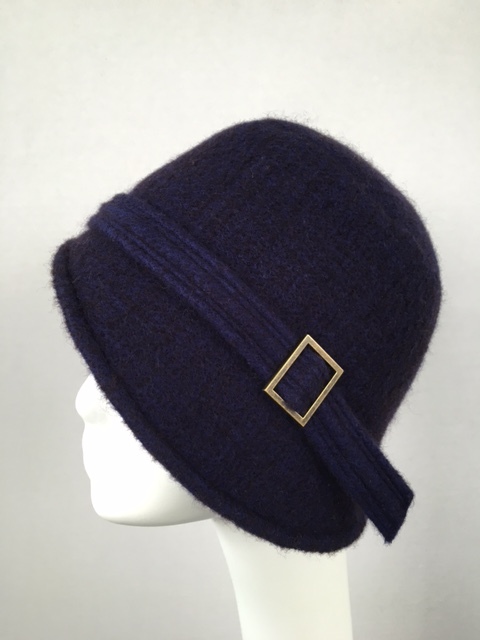 This is an extra-soft, super-luxurious hat made from our unique wool felt. We start with the carded fiber and create this felt by hand on a FeltLoom. 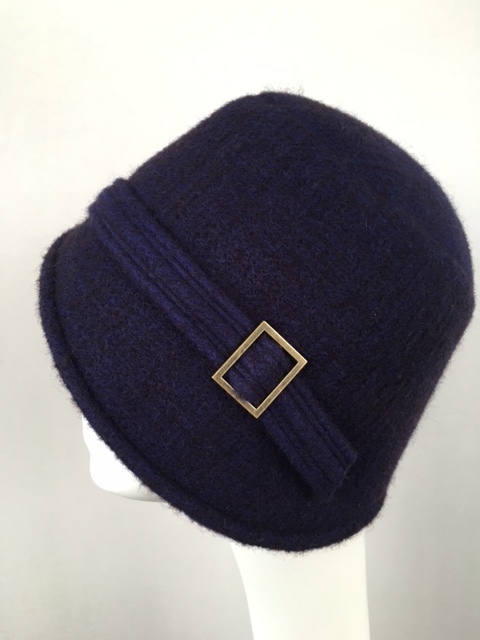 Using Nora’s own pattern, we sew our hats and block them on wooden forms so that the shape and fit are perfect! 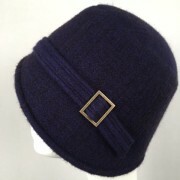 This hat is finished with an adjustable buckle. The result is a cozy, delicious and crazy-beautiful cloche that flatters so many faces.